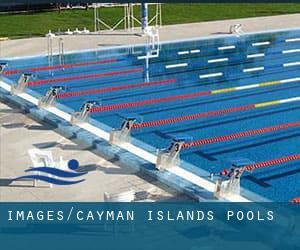 Regular users of the following Cayman Islands Pools told us essentially the most important thing about swimming is to control your breathing. Sometimes this is not possible simply because we raise the neck to breathe and also the body is not aligned. To avoid this, our head should be aligned with our spine all of the time. Going to a Cayman Islands Swimming Pool is increasing especially within the elderly population sectors of Cayman Islands, who have suffered some style of muscle or bone damage. 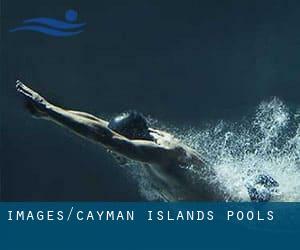 For Cayman Islands and its vicinity, we're showing you all the registered pools, a few of them have no GPS coordinates and can't be found on the map at the map. Please use the make contact with information supplied at each and every pool profile to check if they're offering aquagym lessons, because isn't so normal to see an Aquagym in Cayman Islands. Do you know of any Pools in Cayman Islands that should be listed here? Contact us!. Not all countries are the exact same, and swimming rules and regulations are changing from one country to the other. So, if this really is your first time looking for Cayman Islands Pools, be sure you contact the premises just before you drop by. One of the benefits of outdoor swimming in Cayman Islands may be the possibility to sunbathe throughout the summer season. Taking it with extra care, sunbathing is healthy given that introduces Vitamin D into the body, so the best option seems to be switching between indoor and outdoor pools depending on the season. Whereas Bodden Town is among the six most populous cities in Cayman Islands with nearly 6.514 residents, you shouldn't miss that one if you're going to Cayman Islands. Without a shadow of a doubt, swimming in West Bay may be the very best option to unwind right after work. Take a couple of minutes to browse Swimia's catalog to find a Swimming Pool in West Bay. It's hard to visit Cayman Islands with out dropping by North Side (with 1.184 residents). Currently Swimia is showing you all the Swimming Pool in North Side and the closest pools located in its vicinity. Holding an estimated population of 29.370, George Town is one of the most important cities in Cayman Islands. Check all the Pool in George Town and its surrounding area. Let us tell you a secret to switch off whilst you are in East End: just pick out a Pool in East End and plunge into the water! There's no more efficient method. Updated on 2019 Queens Hwy , Collier Bay , East End , Grand Cayman . Swimmers like you reported ~18 meters, Outdoors. Unfortunately we do not have the email address of this Swimming Pool, but we can provide you with the phone number. Walker Road , Georgetown , Grand Cayman . Swimmers like you reported 25 meters, 6 lanes, Outdoors. Unfortunately we do not have the e-mail address of this Swimming Pool, but we can give you the phone number.